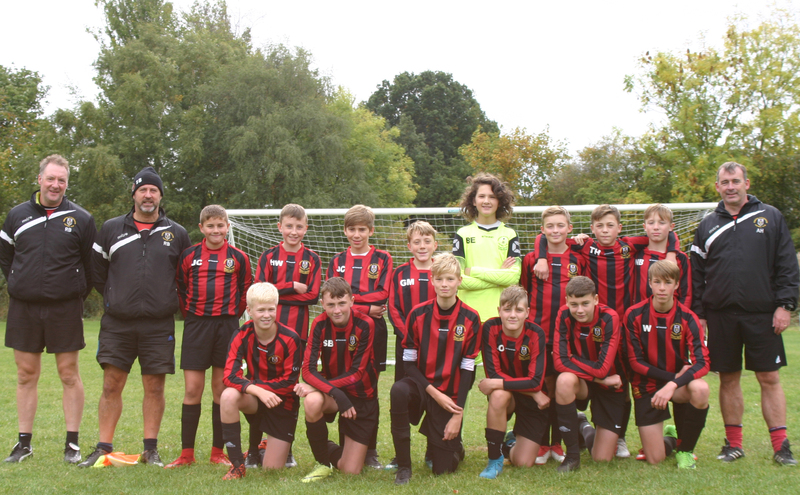 Gomersal & Cleckheaton U14 White 0 vs. 3 Northowram Junior U14 Juniors - 11 November 2018 - Under 14 White - Gomersal & Cleckheaton F.C. The boys faced undefeated Northowram who so far this season have only conceded 1 goal. They got off to a very slow start and let in a really soft goal, which did seem to wake them up a bit and grew into the game. Chances were very limited in the 1st half. 2nd half was better despite conceding a soft header and then soon after a long range strike that was unstoppable. Bryn Evans made some good saves, Callum Snowden and Lewis Wilkinson again strengthened their partnership at the back with a good performance. Elliot Atkinson also got more involved in the 2nd half. We created a few chances, a great left foot shot from Mackenzie Fraser late on which the keeper had to tip over the bar. Bryn Evans was encouraged to go up for the last corner, something he's been wanting to do for ages! The team played some really nice one and 2 touch football in the 2nd half in the middle which was encouraging. George Boulton was MOM with a much improved performance at left back.